For everyone that knows us or follows me on Facebook or Twitter you know that Jules and I are expecting our first child, and I really can’t imagine that we could be more excited! We’re almost in the home stretch of the pregnancy, and it is amazing how life changes so quickly. Suddenly your life is about researching the best brand of diapers or baby lotion. Constantly googling how the baby might be growing during this week of pregnancy or that week of pregnancy. Your life revolves around the monthly doctor’s visits and prenatal vitamins… it is a total change from where Julie and I were a year ago. And it really does feel like an adventure to us. 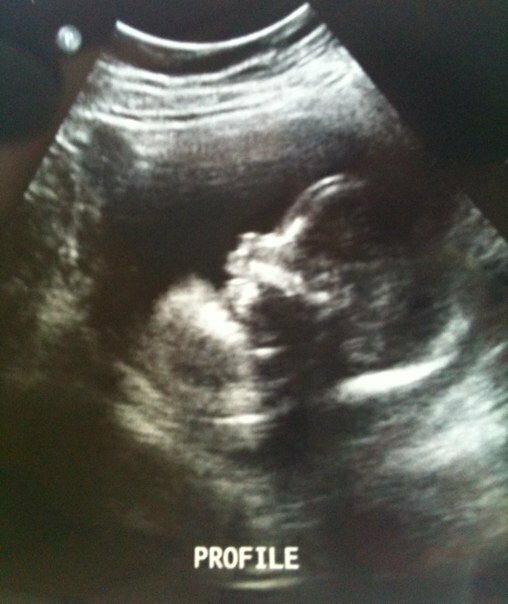 The biggest adventure in this process has been the trips to the ultrasound room at our doctor’s office. When you go in there is this moment of anxiety and anticipation that is like a 6-year-old waiting for his first “big boy” bike the night before Christmas… on steroids. And it strikes you that you are going to meet your child for the first time. This little person, who you will be connected to in a way that no one else on the planet will share in exactly the same way, is right there in black and white and moving all around. You can see and hear his little heart beating, and then the tech begins to take you on what amounts to a tour of your baby – showing you the lungs, the chambers of the heart, the legs, arms, liver, and all his tiny parts. It’s nothing short of mesmerizing! Jules and I joked that it is like the best reality television show ever… at least from our point of view. And the thing is every time I look at the copies of the pictures that we have, all I can say is “Praise God!” I have a literally thousands of thoughts and emotions, but all that I can really articulate is those two simple yet powerful words. Somehow that’s enough. you knitted me together in my mother’s womb. I praise you, for I am fearfully and wonderfully made.